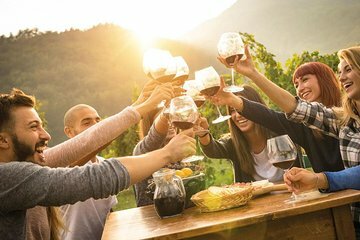 Dig in to a two-course meal after snacking on fine cheeses and tasting regional wines during this sunset wine tasting experience. Look out over the vineyard as the sky changes from pink to red until the sun sets under the horizon. Sample multiple local wines and even a few craft beers paired with a cheeseboard at Lancaster Estate in the Swan Valley.